Since its launch in 2009, the Kepler Space Telescope has found a lot of “exoplanets,” or planets that are orbiting a star, just as the Earth orbits the sun. The total number is said to be 1,000-plus. However, last year one exoplanet was discovered that has unusual properties—it is within the “habitable zone,” i.e. the right distance from the right-sized star to potentially support water, and thus, life. Following that discovery, more “habitable zone” exoplanets have popped up, bringing the total to eight. 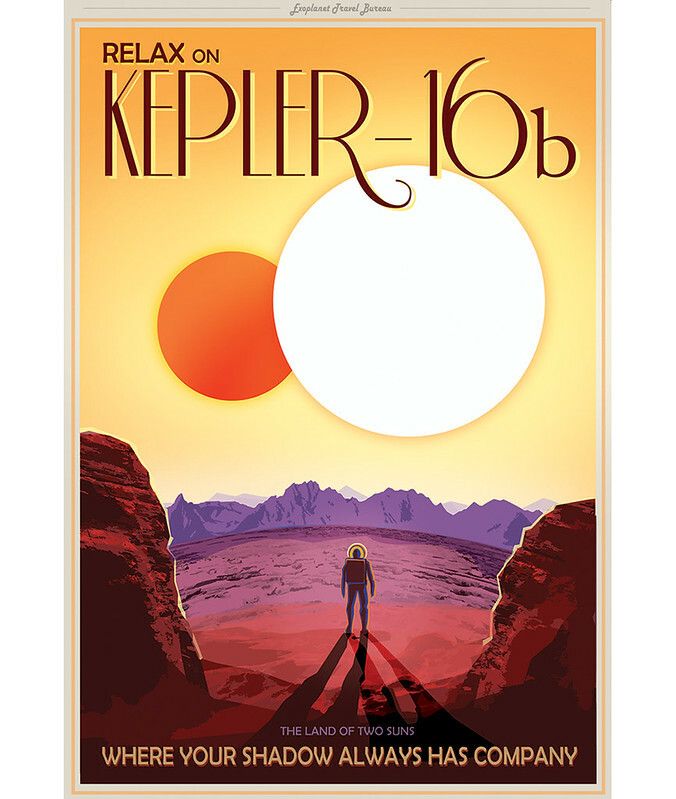 To commemorate these, NASA has marked the discovery of potentially habitable worlds by its Kepler space observatory with a poster series imagining the ‘out of this world’ holiday options they may one day offer. Drawing inspiration from travel billboards of the 20s, 30s and 40s, the posters are the brainchild of NASA visual strategists Joby Harris, David Delgado and Dan Goods. 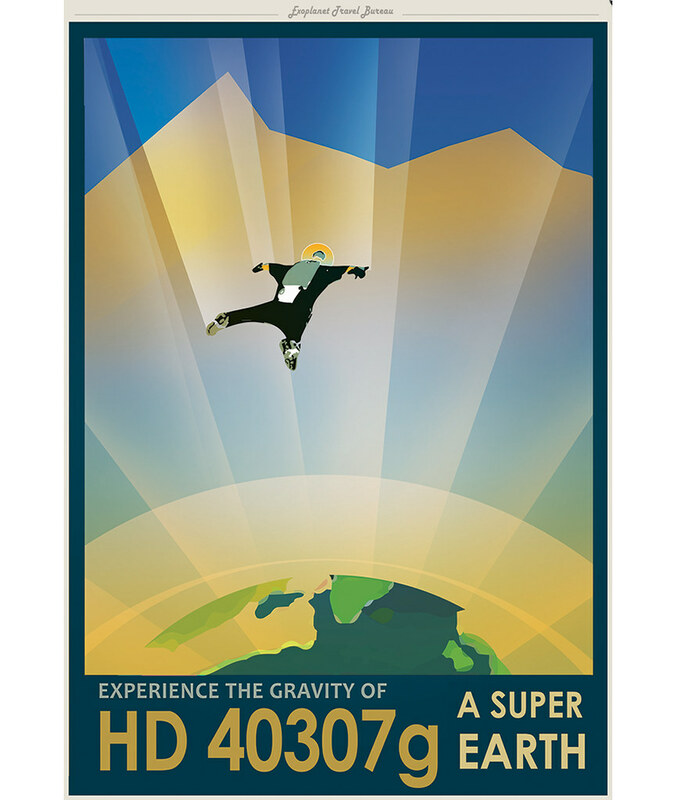 One of the poster that was named ‘Experience the Gravity of a Super Earth’, features the exoplanet HD 403057g . That exoplanets is twice the size of Earth and has eight times its mass. It also has a gravitational punch that is much stronger than Earth’s. Second poster, which is called ‘Where the Grass is always Redder on the Other Side’ shows life on Kepler-186f. 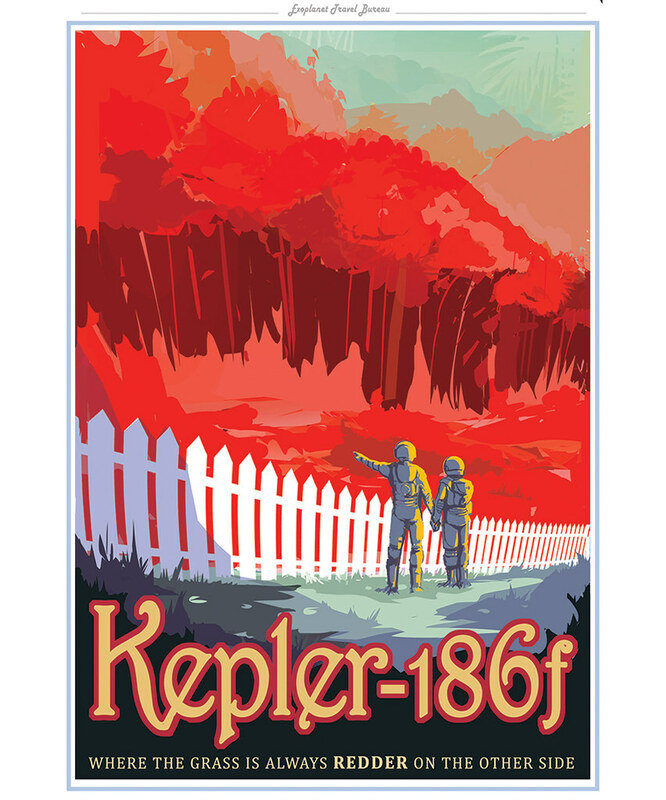 The Earth-sized planet of Kepler-186f, orbiting a red dwarf called Kepler-186, has been showcased in the first poster. Kepler-186f is located at a distance of about 500 light-years from Earth and is expected to be in the habitable region of its host star. The M1-type dwarf star Kepler-186 is in the constellation Cygnus. As compared to the sun, it is much cooler and redder and is the home to four other planets. The third poster was ‘Where your shadow always has a company’, which was about the exoplanet Kepler-16b. It represents a person standing on the planet and in the horizon there are seen two stars. Kepler-16b is made out of ice, gas and rock and orbits around star Kepler-16. The changes of being able to support life are slim, as it is situated in the outer areas of the habitable zones. According to NASA, life on this planet is quite impossible as it temperatures are resemblant of ice. These posters are even available online and can be downloaded for free via JPL’s website. There are additional exoplanet posters in the works, NASA said.